While waiting for the new tolkien.co.uk site of Harper Collins I contacted David Brawn, publishing director of HarperCollins UK and had a nice Q&A. At first I was thinking to write an article about my new findings, but I believe it is better to post the complete interview here. Most of the questions are about The Children of Hurin, the deluxe edition of The Children of Hurin, yet I did ask also about new deluxe editions for the anniversary of The Hobbit and The Silmarillion, the History of the Hobbit and a chance for an illustrated edition of Unfinished Tales. David Brawn also told they will revamp tolkien.co.uk to be a useful news site and are working towards that. That is maybe very important indeed. TL: It was said tolkien.co.uk would be online since the 6th; when will it be finished and coming on line? DB: Work is progressing, but I am unable to give a firm date. Soon. TL: Is the dust jacket design for Children of Hurin finished and will it be revealed soon? DB: We expect to reveal it towards the end of the month. Alan Lee is a perfectionist and is still refining it. He finished all the black and white pencil drawings for inside the book a few days ago and they are gorgeous! TL: Will the deluxe edition of Children of Hurin be limited, and will it match the black limited editions like the HoMe, Hobbit, Lotr and Sil? 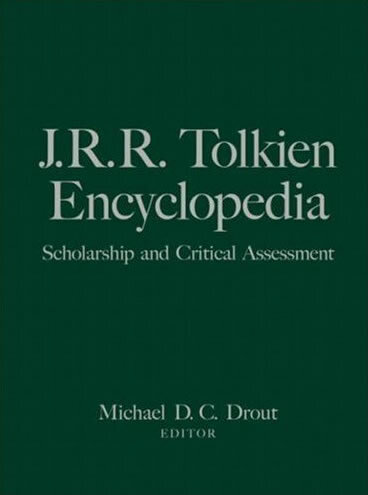 DB: No, it will match the current deluxe editions of LOTR (burgundy) and The. Hobbit (green). It will be blue. TL: Will the signed deluxe edition resemble the superdeluxe edition of the hobbit and the silmarillion of 1982? DB: No signed deluxe is being produced at this time. The only HarperCollins editions in April will be the £60 deliuxe and the £18.99 hardback. We are looking at possibilities to make something special for Christmas. TL: Will all or some copies be signed? By Alan Lee and Christopher Tolkien?? DB: The deluxe edition is unsigned and unnumbered. TL: How many translations will be made? Does there exist a list so we can pre-order every translation? DB: We are still negotiating translation deals. Currently 21 are agreed, but we have yet to confirm publication dates. Normally books in translation follow a bit later. We will provide a list of publishers on the website soon. TL: Will the publication worldwide work as planned and will all books appear the same day? DB: Publication in the UK, USA, Canada, Australia and New Zealand will be 17 April. Some translations may appear on the same date, but production schedules are still being worked on and we don't yet know local publishers' plans. Press coverage has yet to be confirmed, but there are unilkely to be any live events. TL: Will there be signing events from Alan Lee? And Christopher Tolkien? DB: Alan Lee will do signings in the UK. Sadly Christopher Tolkien is unable to come to the UK for any events. TL: Is it possible to receive review copies? DB: No review copies are being sent out as we want fans to read the book when it is published and not have any surprises spoiled by early reviews. DB: The Hobbit hardback is being reprinted with a slightly different jacket and improved specifications, but the £60 deluxe edition from 2004 remains the same. We are considering a matching deluxe Silmarillion for the anniversary, but not yet confirmed. TL: If so, where can we buy these signed editions? From the Tolkien Society? DB: All books can be bought from amazon.co.uk. Follow the links from our website. We currently have no signed editions available. TL: Will there come an illustrated edition of The Unfinished Tales with art by Ted Nasmith? DB: No. UT is a very fragmented work and doesn't lend itself to an illustrated treatment. The Complete Guide to Middle-earth contains many of Ted's fine paintings though. I'm very happy that I can share this info with you all. Thank you David Brawn for his kind permission to reproduce the Q&A here.